At Chocolate Films we like to kick off the New Year with a bang. 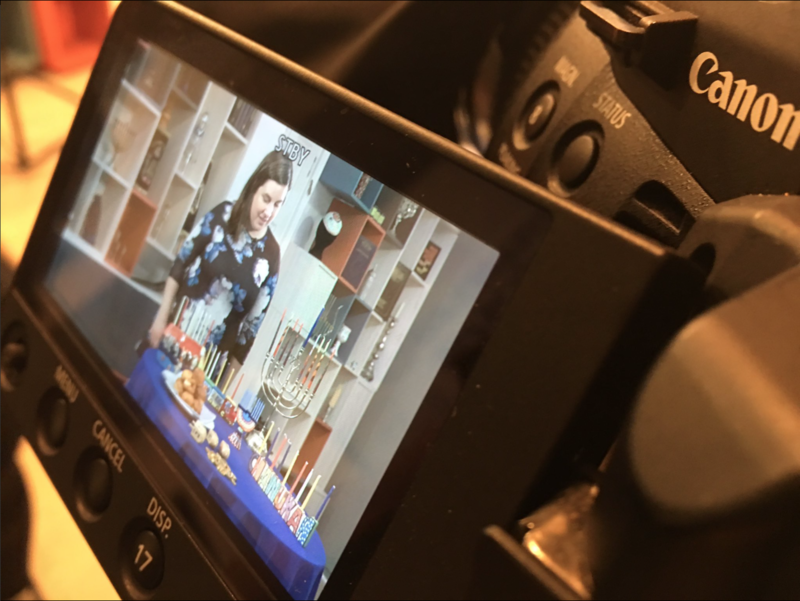 So whilst everyone else was settling back in from their holiday breaks, we packed up the majority of our kit room (and 5 of our filmmakers) and took a trip over to the Jewish Museum in Camden to record 18 educational films! 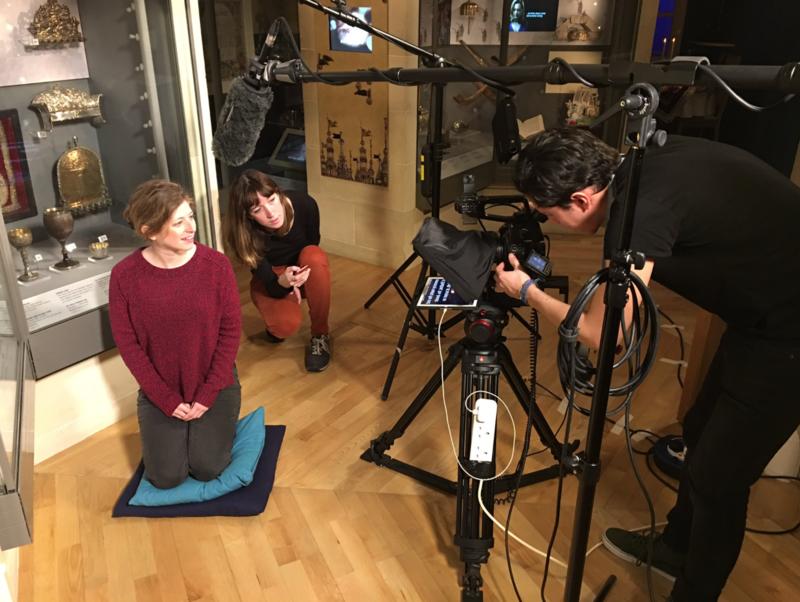 All 18 films consist of two parts; the first being a piece to camera by one of the Learning Officers, explaining a special object in the Judaism: A Living Faith gallery. The film then moves into the education space for a more detailed explanation of this aspect of Judaism. On the day we had 2 crews, one shooting solely in the gallery space and the other crew set up in the education space. It was a marvel of scheduling (thanks in no small part to the Jewish Museum’s brilliant staff) which saw presenters moving between the two rooms and a whole range of different set ups to focus on each collection item individually. To achieve the best results for a shoot such as this, Chocolate Films has two portable teleprompters. These attach to the front of the cameras (in this case two Canon c100s) with an iPad to display the text. This allows us to get the scripts right every time and give the presenter more freedom with their demonstrations as they do not need to memorise large scripts beforehand. To help shoot in museum spaces we also have our non-UV LED Litepanels. These are excellent for gallery spaces such as those we filmed in for the Jewish Museum shoot as they don’t get warm and do not emit any UV rays which can be harmful to many of the precious objects which we film. We have worked with the Jewish Museum closely on both production projects and workshops films for the last three years. This was certainly one of the largest projects we have completed with them and it was a truly exciting and informative project to work on. We look forward to more shoots with them in future. Click here to find out more about our Arts & Culture service, or contact us if you would like to discuss a future project.